Successful Launch of the ATJW II Project on Minimum Standards and Referral Guidelines for GBV Survivors! On 08 February 2017, the Ministry of Women’s Affairs launched the Referral Guidelines and – jointly with the Ministry of Health – the Minimum Standards for Basic Counseling for Women and Girl Survivors of Gender-Based Violence (GBV). These tools were developed and tested with technical support of the MoWA-GIZ-ATJW II project, which is jointly funded by the two Governments of Germany and Australia. The ATJW II project’s aim is to support the Ministry of Women’s Affairs and concerned government institutions as well as civil society organizations in the prevention of GBV. ATJW II supports women and girl survivors of GBV to receive high quality legal, social and psychological services. The Minimum Standards for Basic Counseling will increase awareness and assist service providers and health practitioners to improve the quality of service delivery to women and girl survivors of GBV. They promote a common set of principles to ensure privacy, confidentiality, safety, and respect for the rights of the survivors. The Minimum Standards pave the way towards a holistic and comprehensive response to GBV through a survivor-centered human rights approach. Service providers are professionally trained in order to implement the Minimum Standards through effective services to survivors with respect and care. 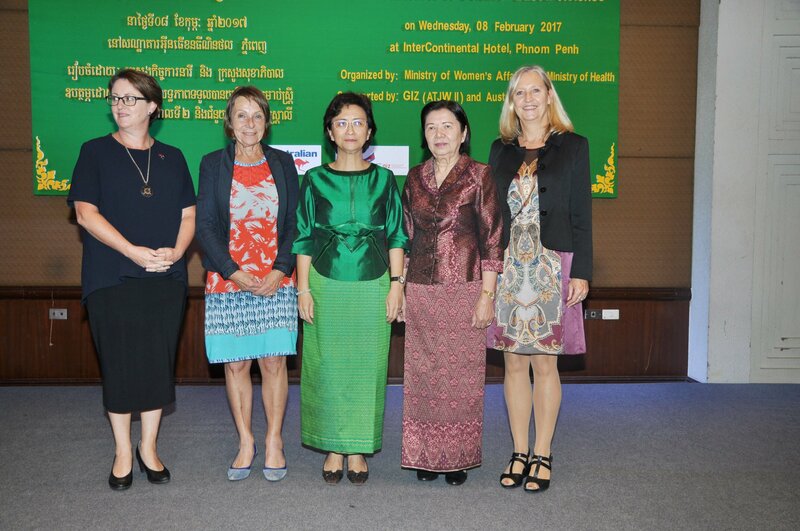 It is the expectation of the Ministry of Women’s Affairs (MoWA) and Ministry of Health that the Minimum Standards for Basic Counseling will serve as guidance for all service providers to be implemented in their daily work. 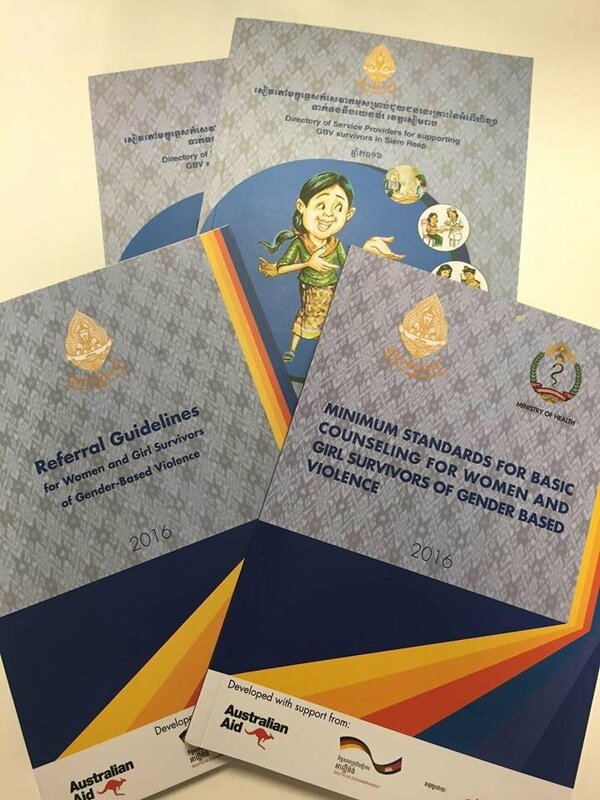 The Referral Guidelines are to be used by relevant service providers, including GBV Networks and Judicial Police Agents/Officers (JPAs/JPOs) of MoWA, to improve the effectiveness of service delivery to women and girl survivors of GBV. Referral Guidelines were developed in order to provide high quality services through a system of case registration, assessment of and referral to services based on the individual needs and agreements of the survivors. 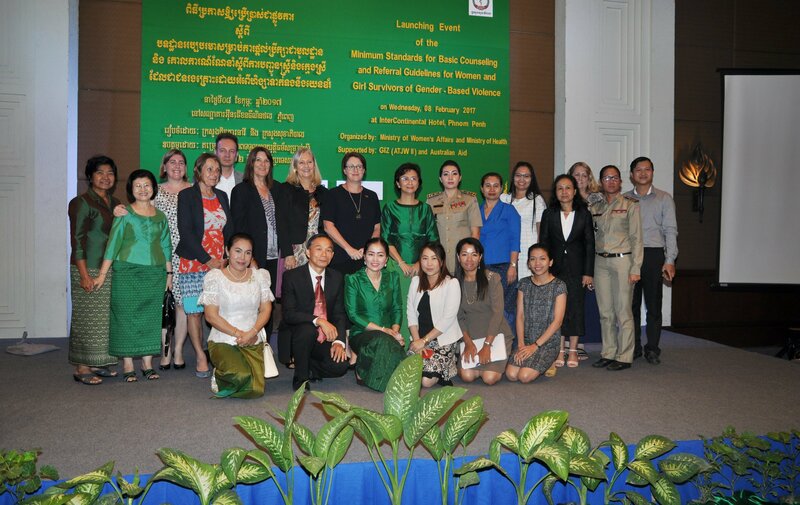 The launching was presided over by the Minister of Women’s Affairs, H.E. 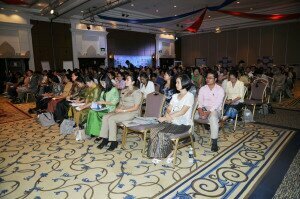 Dr. Ing Kantha Phavi, and H.E. 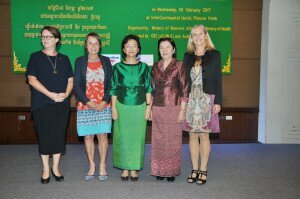 Dr. Tan Vuoch Chheng, Secretary of State of the Ministry of Health, who delivered opening remarks along with the Ambassador of the Australian Embassy in Cambodia and the Counselor of the German Embassy in Cambodia. 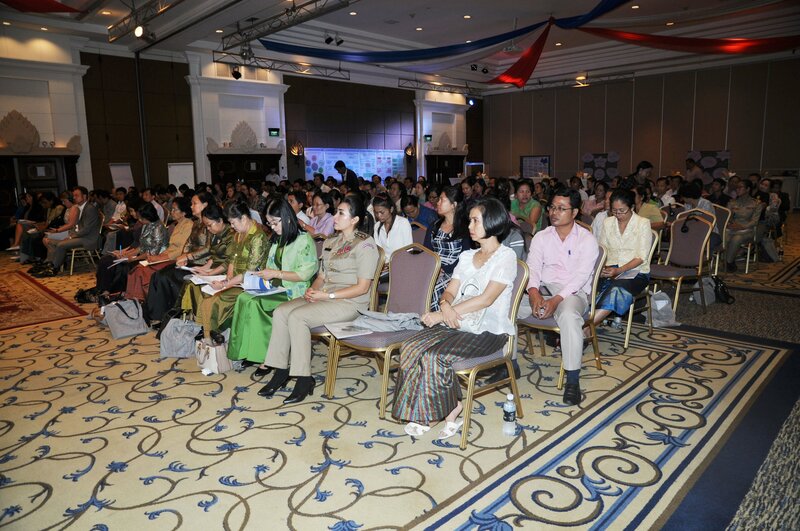 This event was attended by approximately 200 guests representing Line Ministries, Government Agencies, Embassies, Development Partners, NGOs, and other Interest Groups. We congratulate all partners involved in the successful launching!